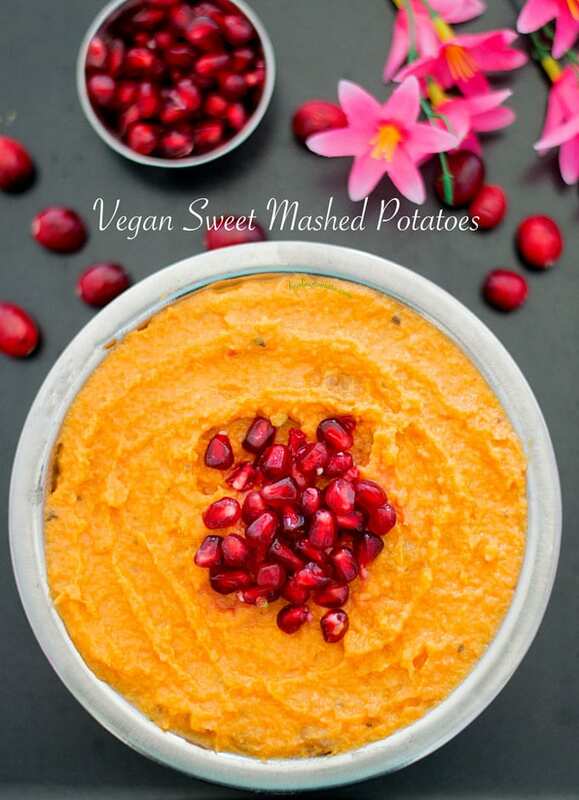 Every vegan I know (myself included) loves mashed potatoes…. But, often, they are made with dairy products so we can’t enjoy these soft, fluffy, smooth and pillow-y soft Thanksgiving staple. I don’t want to take hours boiling water and potatoes stove top or bake them in the oven for hours. Its such a hassle, right? Pressure cooker mashed potatoes take only a few minutes to cook the potatoes. Idaho and red potatoes take only 5 minutes to cook if you remove the skin and roughly dice them. 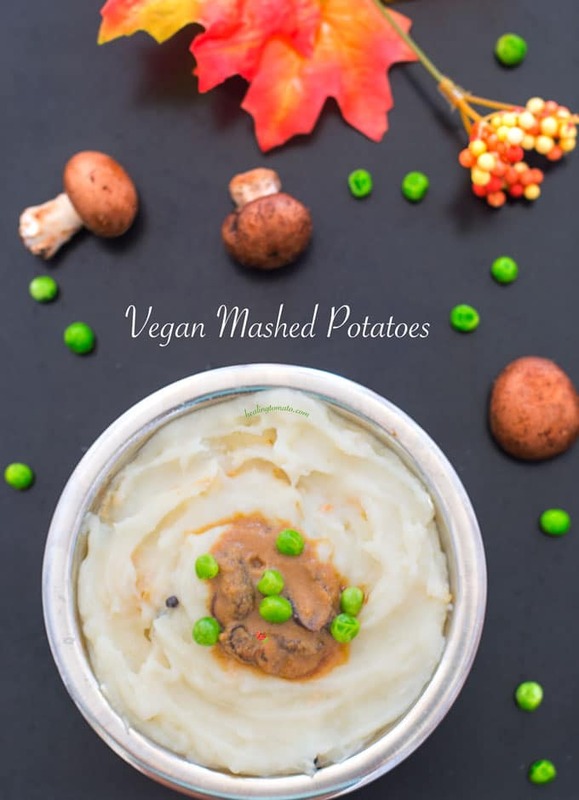 These 3 pressure cooker vegan mashed potatoes are going to make everyone drool! When it comes to mashed potatoes, nothing beats the classic mashed potatoes. They are always a fan favorite because they are the perfect comfort food with little work. All it needs is potatoes, milk, butter and salt. Personally, I like my mashed potatoes to have a few lumps. If you like your mashed potatoes smooth, I might judge be silently judging you! This classic vegan mashed potatoes took only 10 minutes to make. It took 5 minutes to gather the ingredients and 5 minutes to cook them. 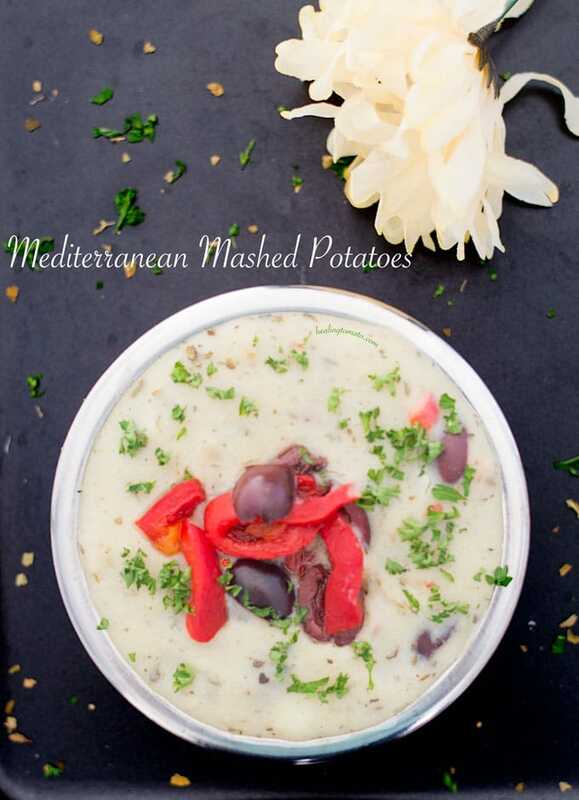 Have you had olives in mashed potatoes? I tried it a few years and completely fell in love with it. I have tried green olives, pearl olives and now, (affiliate link) Kalamata olives. For me, its a tie between Kalamata and green olives. They both taste so good! I also added deli style roasted red peppers to the mashed potatoes because they added amazing flavors to it. Together with spices, it makes these mashed potatoes so delicious. I like the simplicity of these mashed potatoes. Garlic will work great in this recipe, but, I didn’t add any. I think I like the taste of olives without the garlic. If you love garlic and olives, go ahead and add it to the recipe. Sweet potatoes are a staple on my blog and my life. I love the healthy component of the sweet potatoes, but, more than that, I love how delicious it tastes in any recipe. I have made curry, spring rolls, sweet potato wedges and Cheesy hash browns, just to name a few. This time, I am glad to be making mashed sweet potatoes with them. 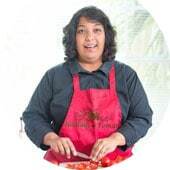 Cooking them in the pressure cooker takes all the hard work out of it. I tried making mashed potatoes with chopped sweet potatoes, but, they turned out a little to mushy for my taste. When I left them whole, the texture in the end was much better. 5) Never leave the pressure cooker unattended and always keep children away from it. 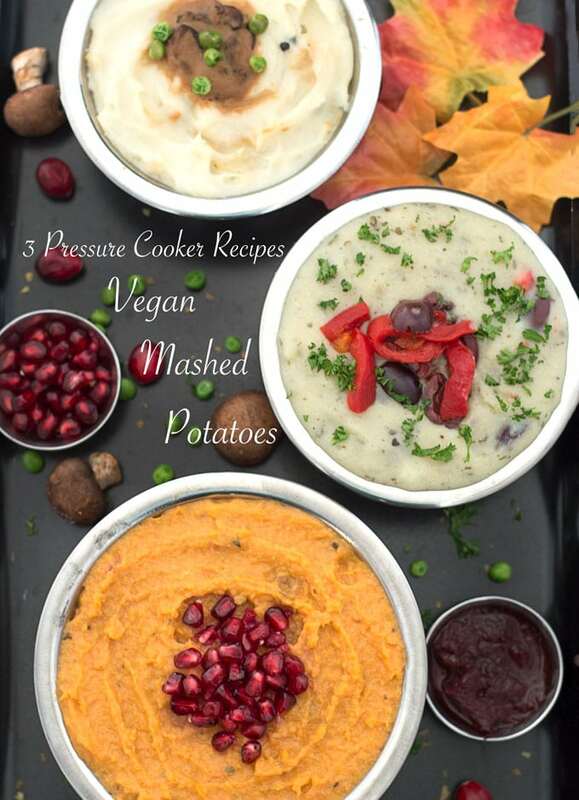 From these 3 pressure cooker vegan mashed potatoes, which one is your favorite? Some delicious-looking mashed potatoes. Can’t wait to make them. Thanks. I love mashed potatoes in any form and these look yum! Love recipes that don’t use the oven for Thanksgiving! All look like great options!